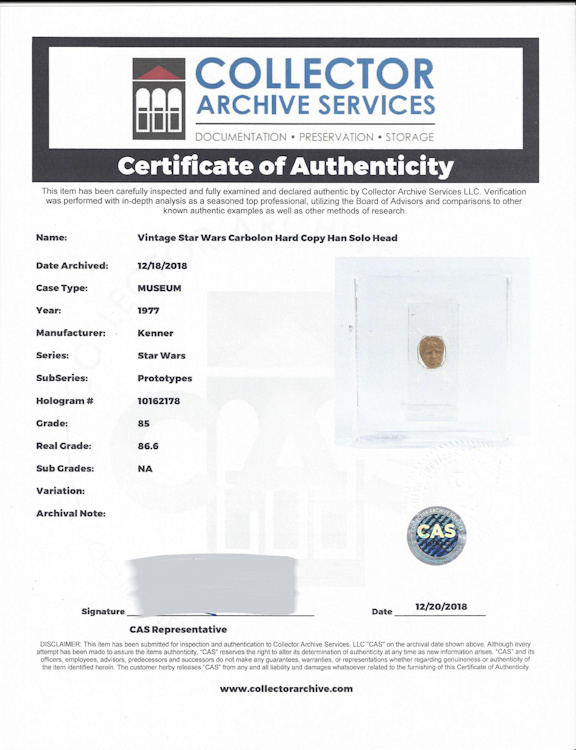 You’re really taking a step back into the production of a Kenner Star Wars Action Figure when it comes to owning a hardcopy. 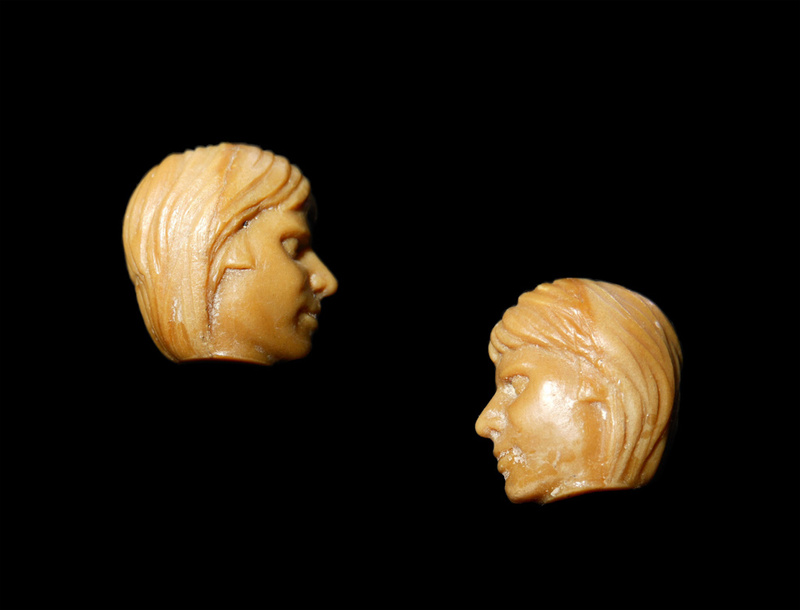 This early stage directly follows the wax sculpting; where a silicon mold is taken of the original sculpt for the creation of a more durable copy made of resin. 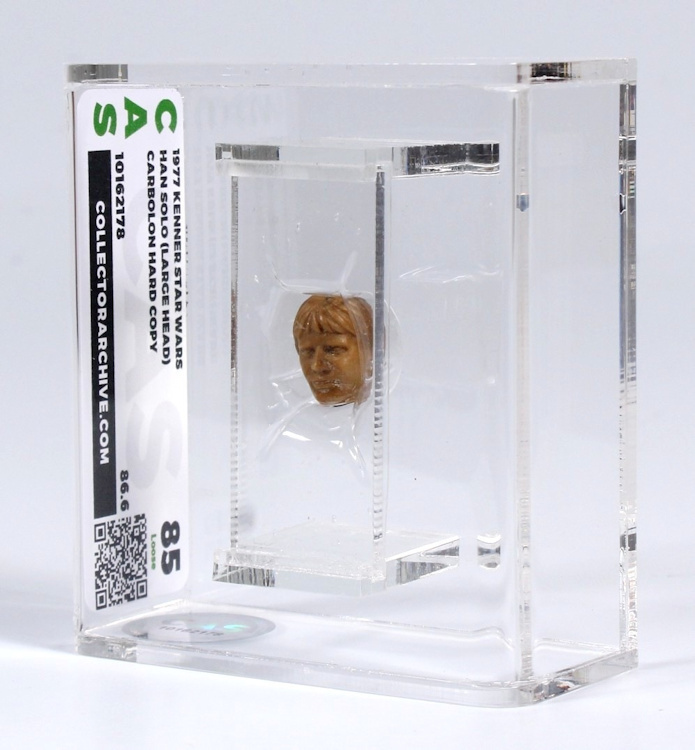 Such “hard copies” would then be employed in the process to cut the steel molds needed for mass production; a process that would otherwise damage or destroy the original sculpt. Some of these hardcopies would also be painted to simulate the final product and employed as paint masters or used in early marketing and photography. While some partial or complete wax sculpts for the first twelve Star Wars Mini Action Figures have surfaced over the years, only a scant few hardcopy parts from a couple other characters (Vader and Chewbacca) have been found. At the time of this offering, no complete hardcopy from the original twelve 3 ¾” figures made by Kenner are known to exist. 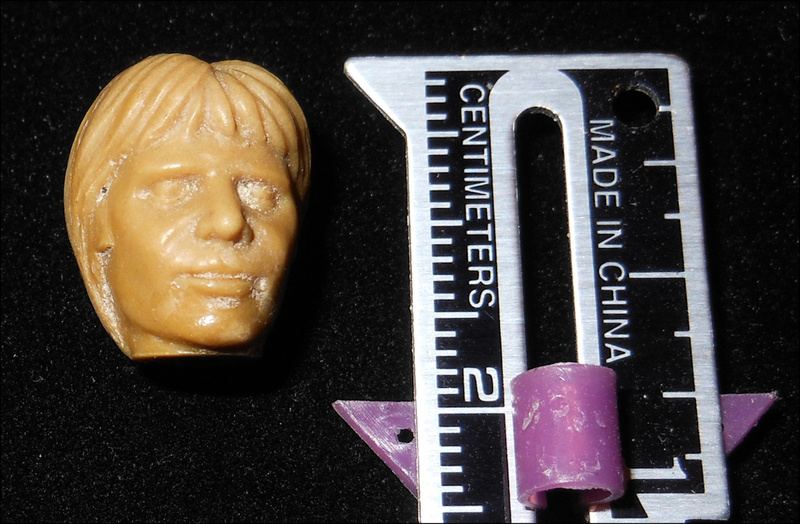 The example offered here is the “large head” version that replaced the less detailed small head sculpt for the Han Solo figure. 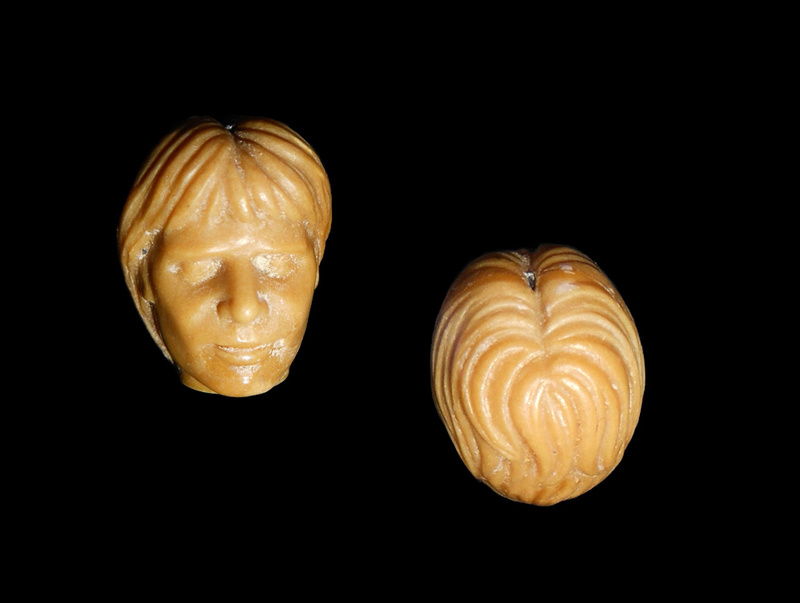 One of only three examples known, it measures just a little over 17 mm, and is made of carbalon (a two part urethane), as indicated by the distinctive beige color. Since carbalon sets without the shrinkage of injection molded plastics, the stated size would be true to the dimensions of the original sculpt which would have been made slightly larger than what was intended for production. Because a hardcopy captures more subtle characteristics from the original sculpt, the detailing on this example is quite exquisite and far surpasses anything found on the manufactured toy. 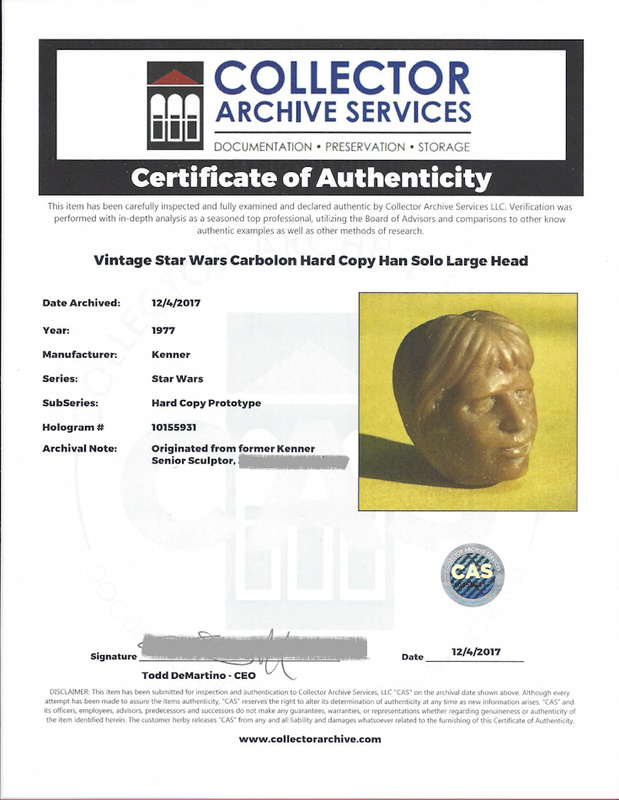 Of course provenance is everything when it comes to such items; therefore, this hardcopy head comes with a letter of authenticity from CAS, with stated origins attributed to a senior Kenner sculptor. You simply just can’t get better provenance than that. This is a real connoisseur’s piece that would make a great addition to any serious Han Solo focus.